1. Which of the following is used as a primary storage device? 3. Which of the following is called low level languages? 5. Which device is used to backup the data? 6. ASCII and EBCDIC are the popular character coding systems. What does ASCII stand for? 8.What kind of server converts IP addresses to domain names? 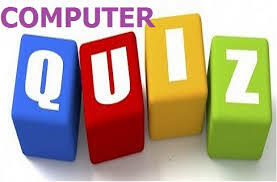 9.In the OSI model, the actual transmission of data is handled in the ____________ layer. 10.What is the function of Recycle Bin?